We are having a special sale on Anita Goodesigns. 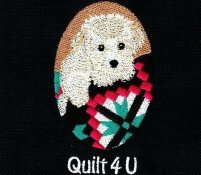 As a member of our embroidery club, you are invited to stop by Quilt 4 U and take advantage of some really GREAT prices on past collections. We are open Tuesday thru Saturday’s from 10:00 a.m. – 5:00 p.m.
(Special note: We have a bus of quilter’s coming to the shop today Wednesday June 27th at approximately 1:30 p.m. You may want to avoid the crowd today by coming prior or after that time). We have ordered a 2nd group of sale designs so we should have plenty on hand that you will find something you may be interested in.